Hello there, and welcome to part two of our blog series on the most common reasons that your check engine light is on. The winter months, especially in Chesterfield, are not a time that you want to experience issues with your vehicle. Even though it is easy to dismiss your check engine light, we here at Kudos Import and Performance implore you to pay attention to the health of your vehicle. While the check engine light can be triggered by many different mechanical issues, with some requiring more attention than others, you should always respect your import autos check engine light. While some would say that we are being a bit alarmist, ignoring your check engine light could lead to expensive repairs that could easily have been avoided. In today’s post, we’re going to list two of the more common, yet less serious, reasons that your check engine light is on. It’s important to remember that your car’s check engine light does not always indicate that something is wrong with the engine itself. The check engine light can be triggered for a multitude of reasons but, and this is important to remember, they are all issues that should be dealt with as quickly as possible. While your car’s engine might not be on the verge of exploding, ignoring even the smallest issues related to the check engine light can lead to unwanted damage. 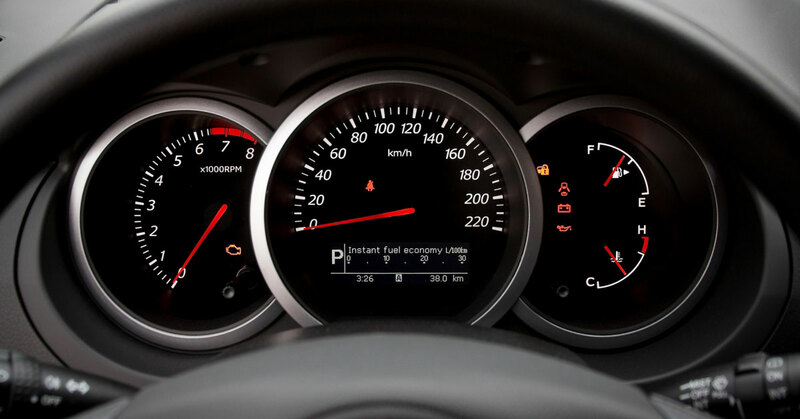 Below we have listed two more common reasons that your check engine light was triggered. Loose Gas Cap: Although it may sound ridiculous to some, a loose or faulty gas cap can cause your check engine light to trigger. While this issue might not seem important to most, a faulty gas cap can throw off the entire fuel system of your vehicle. Pressure is exerted on the gas cap through the fuel system, and if this pressure is not maintained you could see a decrease in gas mileage and an increase in your import vehicle’s emissions. Luckily, this issue is one of the easiest to remedy. Most auto part stores sell replacement gas caps for under $5 dollars, so all you need to do is replace the faulty one. If you replace the gas cap and your check engine light triggers again, we suggest that your bring your vehicle into Kudos Import and Performance to better diagnose the issue. Faulty Mass Airflow Sensor: As we have stated in a previous post, you engine requires air to function. The mass airflow sensor tells your import auto’s computer how much air is making its way to the engine, allowing your car’s computer to add the appropriate amount of fuel for efficient combustion. A faulty mass airflow sensor can decrease your vehicle’s gas mileage, increase emissions, and cause your car to stall. While you can drive for a few weeks with a faulty mass airflow sensor, we here at Kudos Import and Performance do not suggest it. Not only will you have to pay more in fuel costs but eventually your car will stall so much that it will become unreliable. We suggest that you let one of our mechanics handle the situation before it develops into a serious problem. If the check engine light is on in your import vehicle, come see us at Kudos Import and Performance in the Chesterfield area and let us run a quick diagnostic check. Our import auto maintenance professionals will help to ensure that your vehicle is running as efficiently as possible and that your check engine light is not an indication of a more serious mechanical issue.